Baby quilt for my new grandson who was born in Alaksa. The finished blocks are 6″ squares, which makes the claws on the baby bear paw 1/2″. Mamma Bear Baby Bear, Love Love Love it, color, block, everything. Mama-Bear Baby-Bear — I love this little bear paw quilt. 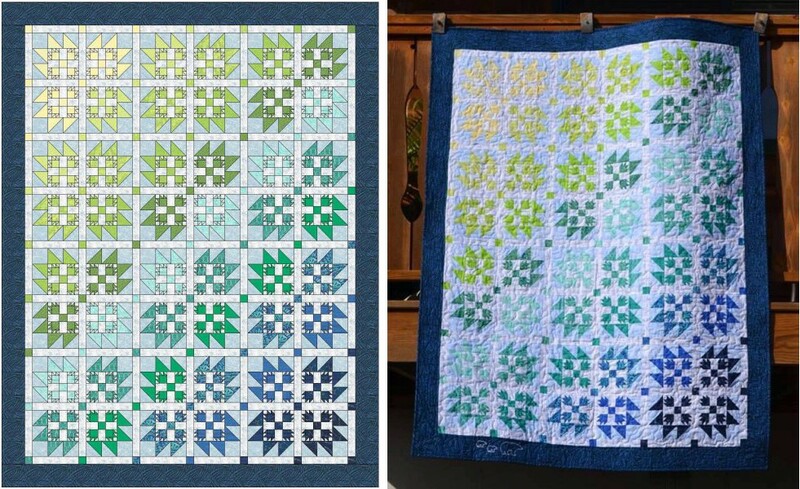 Everything about it is so thoughtful, from the perfect pattern for an Alaska-born baby, to the beautiful colors and the finished size of the squares. What a lucky grandchild! Mama Baby Bear – I’ve always loved Bear Paw, this has great color progression & an extra “inside” pattern. I’ve always loved Bear Paw – I looked through the gallery and have to say the first one I saw, “Mama Bear Paw” is my favorite. I like Mama Bear-Baby Bear. This is my favorite quilt! Love the name to!!! 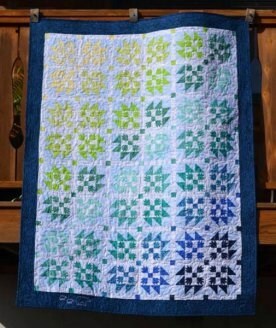 I love this little quilt. I have done little half square triangles and know how tedious they can be. That little quilt will be a treasure . Congratulations on a beautiful job. What a beautiful quilt. A treasure that will last a lifetime. I love it, but it must have taken a bit of time to do all of those little half square triangles. Congratulations. Mama Bear-Baby Bear is my absolute favorite quilt!! 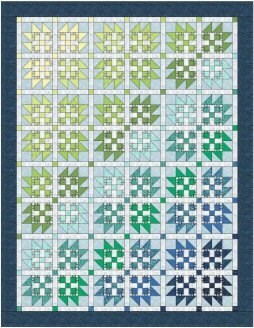 Love the challenge of the tiny baby bear paws, but I especially love the way the colors gradate down the quilt diagonally. 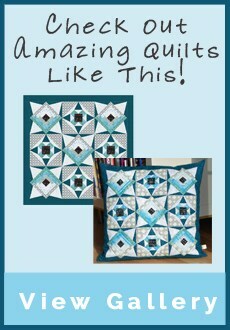 Mama Bear-Baby Bear is my favorite quilt – those little baby bear paws must have been madding, though!